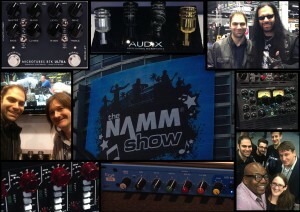 Had a great time at NAMM this year. Got to talk with my friends at Solid State Logic, FXpansion, Audix, Phoenix Audio, and Darkglass Electronics. Also hung out with Neil Turbin of Anthrax fame, who I am currently doing some mixing for.